Luxury crossover SUVs have rapidly grown in popularity thanks to their useful versatility, generously-sized premium interiors, and all weather performance capabilities. Perfectly suited to those with growing families or drivers who live active lifestyles, these impressive vehicles make no compromises on refinement or abilities. With new entrants joining this segment each year, it's difficult to keep up with what choices are available and which Luxury SUV best delivers what's most important to you. We've taken the time to compare the dynamic Audi Q5 against two of its biggest rivals -- the BMW X5 and the Volvo XC60. 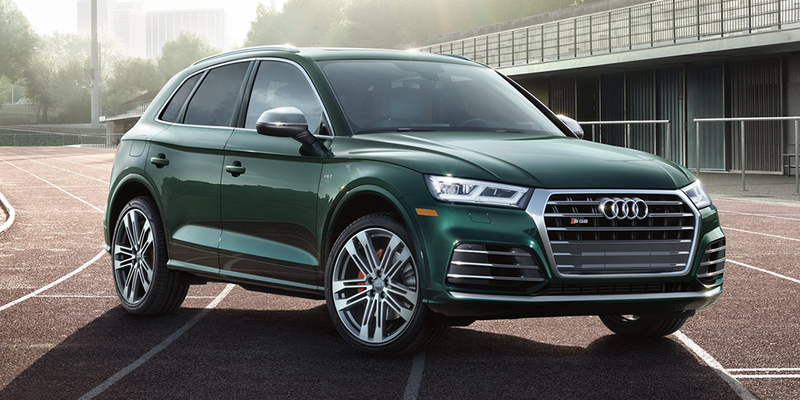 Once you see the results of this competitive comparison, you'll understand why drivers continue to choose the 2019 Audi Q5. While Audi and BMW are certainly familiar rivals, there are several key distinctions between the Q5 and X5 SUVs. Looking first at the starting MSRP of both models, the Audi Q5 enjoys a massive $17,750 price advantage over the X5. Aside from the tremendous value represented by the Audi, the Q5 remains the obvious choice for drivers who want the hard-to-find combination of impressive fuel efficiency AND a roomier, more luxurious cabin. Across city, highway, and combined fuel economy ratings -- the Audi Q5 outperforms the much thirstier BMW X5. Fewer stops at the pump means that you'll have more time to enjoy your weekend road trip. That's something both your passengers and wallet will agree on. When it comes to interior comfort, the Audi Q5 delivers generous space that allows both drivers and passengers to stretch out and get comfortable. In terms of headroom, both front and rear occupants will prefer the Q5 as compared to the X5. Legroom across both rows is also greater inside the Audi Q5. Genuine leather seating surfaces inside the Q5 provide a more authentic feel as compared to the synthetic Sensatec leatherette used inside the X5. 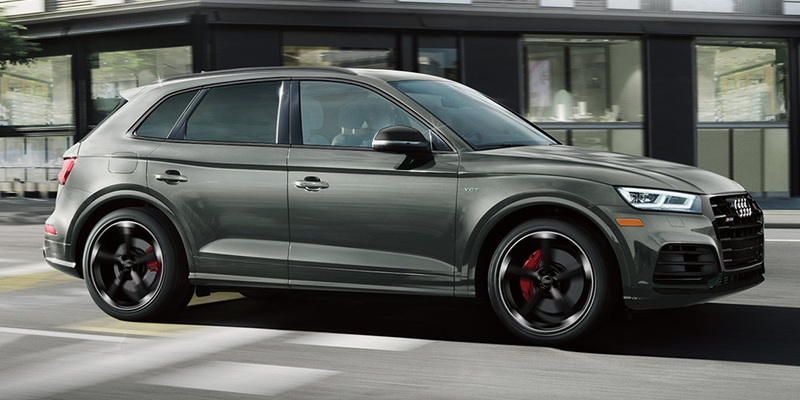 But if you're the kind of driver who would rather trade fuel economy and a lower price for more exhilaration on your daily drive - allow us introduce you to the performance-focused Audi SQ5. To insure we're making an apples-to-apples comparison, we're comparing the dynamic SQ5 Premium Plus against the same BMW X5 xDrive40i from the previous matchup. Even upgrading to this sportier, more performance-based variant, the Audi still enjoys a $2,500 price advantage over the BMW. 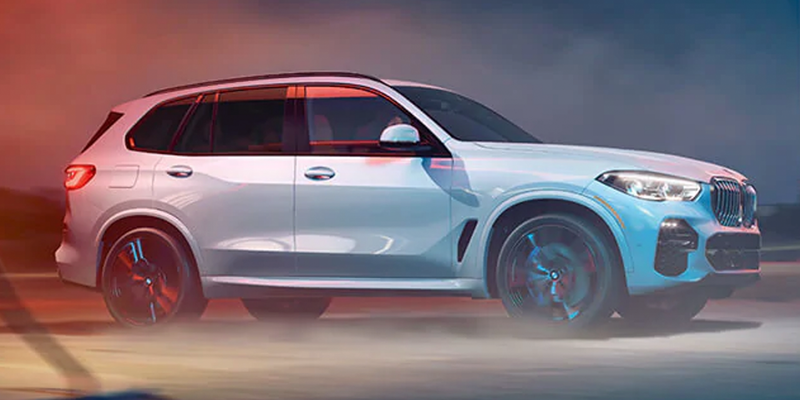 Although both of these luxury SUVs come equipped with identically-sized 3.0-liter turbocharged V6 engines and capable all-wheel drive, there are some key differences between the two. For those who demand only the best, the Audi SQ5 provides 19 greater horsepower and 39 lb-ft of additional torque than the BMW X5. Despite this noticeable power advantage, the SQ5 still delivers greater city and combined fuel economy ratings than the X5 while matching its highway rating. 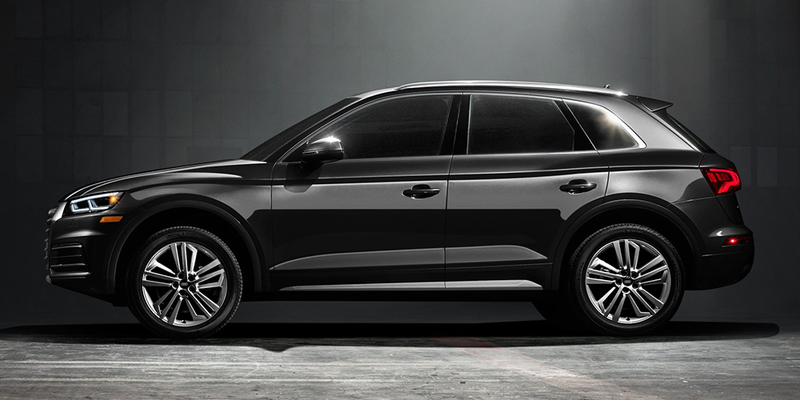 The Audi SQ5 comes equipped with 20-inch alloy wheels, larger than the 19-inch wheels found on the BMW X5. On the SQ5, you'll enjoy dedicated performance tires which deliver superior grip and handling during high-speed cornering. Conversely, the run-flat all-seasons fitted to the X5 tend to numb feedback and response since they're engineered for durability as opposed to performance. A 415-pound weight advantage also helps the SQ5 deliver noticeably more agile handling and spirited acceleration compared to the much heavier BMW X5. Its smaller turning radius makes it easier to squeeze the Audi SQ5 into a tight parking space or maneuver in crowded parking lots. Finally, lets compare the 2019 Audi Q5 to the 2019 Volvo XC60. Comparing the Q5 2.0T Premium to the XC60 T5 Momentum AWD, we find that the Volvo has a $850 price advantage. That's certainly a win for the Volvo, but what will you sacrifice for that $850? Let's find out. Although both come equipped with a 2.0-liter turbocharged 4-cylinder engine, the Audi Q5 holds the advantage in terms of both horsepower and torque ratings, and as Uncle Ben explained to a young Peter Parker - "With great power comes great responsibility." - and responsibly, the 2019 Audi Q5 also manages to outperform the Volvo XC60 in both city and combined fuel economy ratings, while also delivering a greater towing capacity than the XC60. 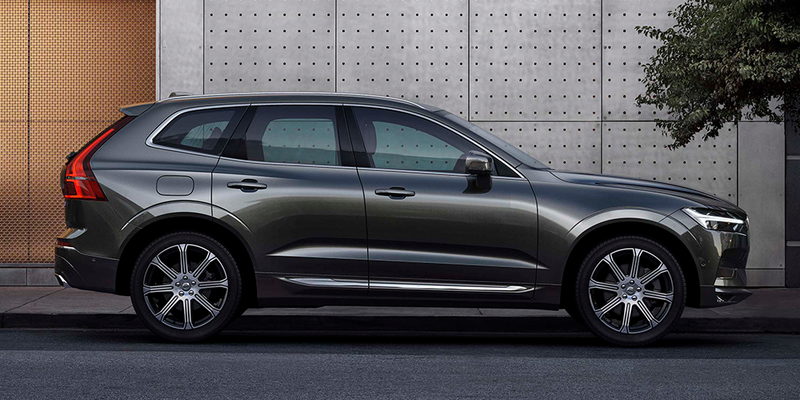 When looking at convenience features, the Volvo XC60 is no match for the impressive Audi Q5. Speed-sensitive power steering, included as standard on the Q5, gives drivers the appropriate amount of steering feedback depending on your speed. Standard Homelink allows your Q5 to open your garage door with the press of a button, a feature which will cost you extra at Volvo. A standard smart key system lets you unlock your doors and even start your Q5 with the touch of a button - which is yet another feature which only comes on the Volvo XC60 at additional expense. Looking at comfort amenities, the interior of the Audi Q5 continues to impress. All occupants will appreciate the genuine leather seating surfaces inside the Q5, which provide a more authentic feel than the synthetic leatherette used inside the XC60. Standard rear HVAC controls allow rear passengers to select their own climate preferences, yet another feature that's unavailable on the Volvo. Greater headroom across both rows of seating and 4-way power lumbar adjustability help make the Audi Q5 the more comfortable choice for drivers who like to take extended road trips. Sounds like a lot of value for an $850 to us! Now that we've seen the results, it's clear that the winner of this comparison is the dynamic Audi Q5. 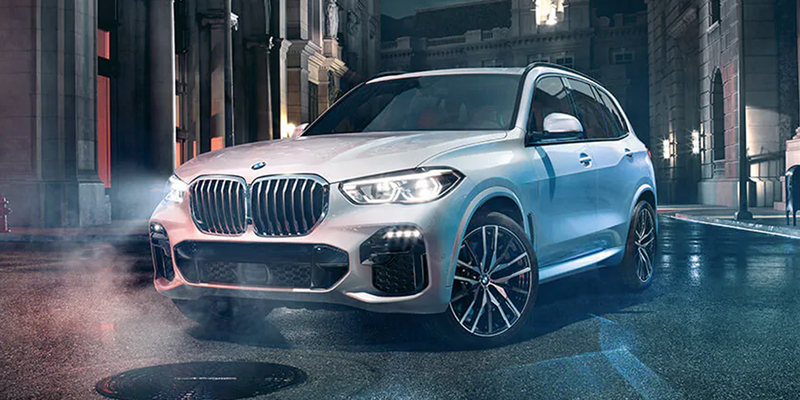 Both the BMW X5 and Volvo XC60 are unable to compete with the tremendous value, efficiency, performance, versatility, and premium amenities found on every Q5. 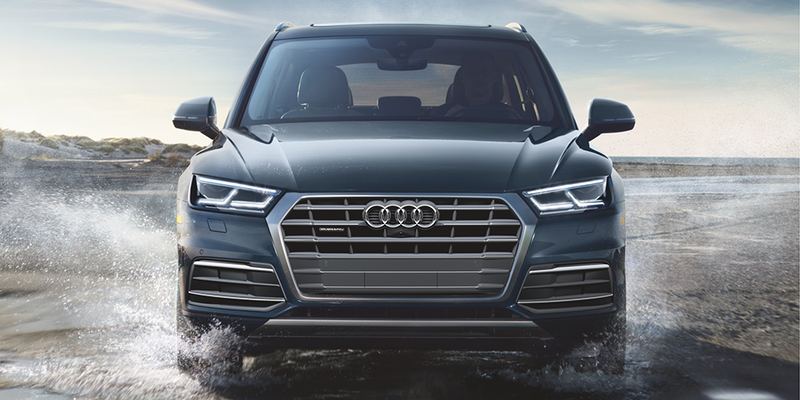 Ready to experience all that the Q5 has to offer? Our team of friendly and knowledgeable Audi sales consultants are standing by to introduce you to the Audi Q5 family.